Adjustable opening accomodates a variety of pill sizes. At PWC we do not take no for an answer when it comes to medicating cats! We will help you find a way. 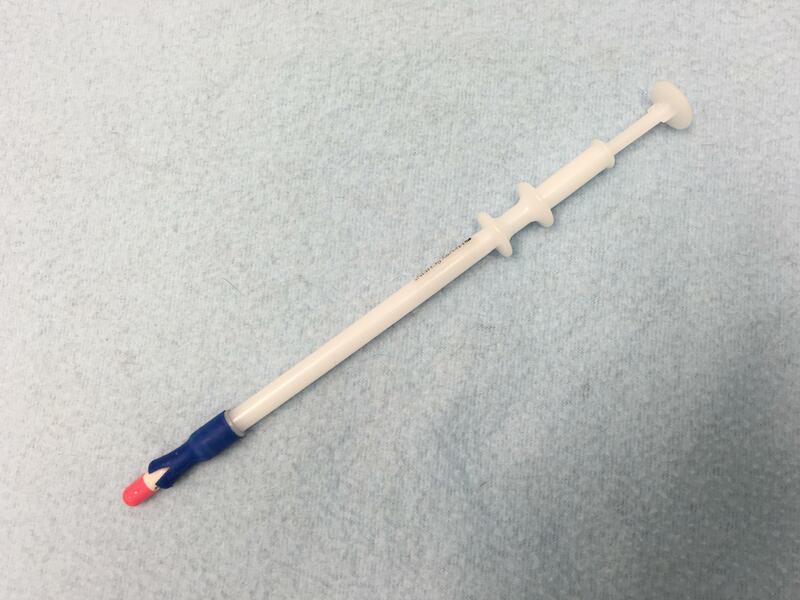 We are happy to teach how to properly orally medicate but we will also help you achieve this, even if you are not very excited about sticking your fingers in your cat's mouth, using this pill gun. We recommend that you always chase all oral medications with a syringe of yummy food, broth, water, etc. 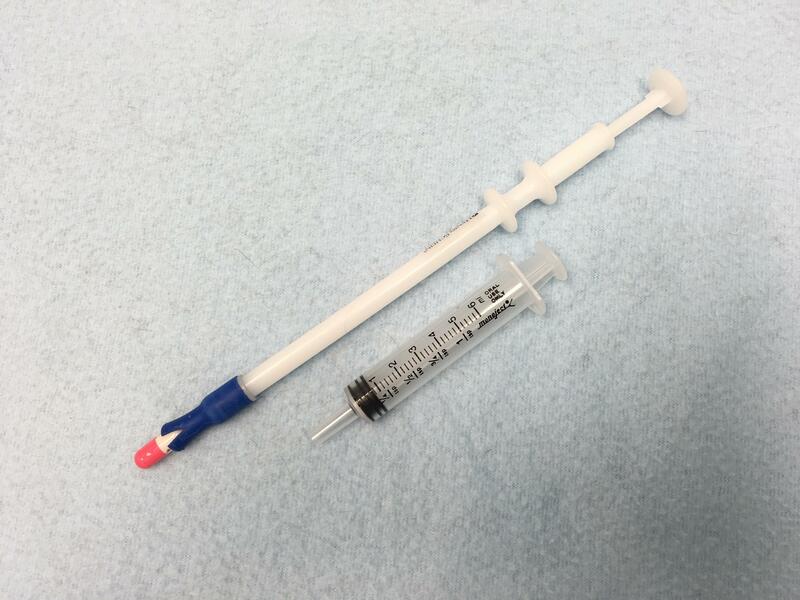 So as you can see here the oral syringe pictured right couples nicely with this tool. Watch the How-To Medicating video below for instructions on how to use this tool correctly and successfully! Oral syringe to chase meds with a food reward.